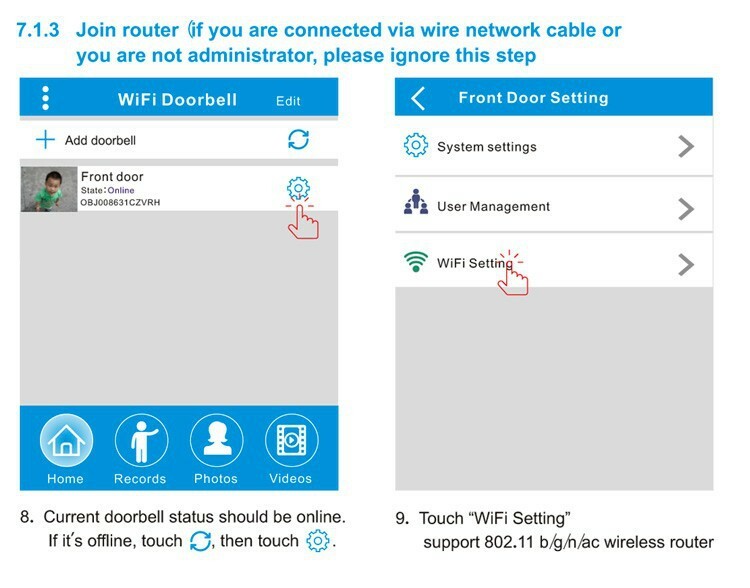 WiFi doorbell connects to network via WiFi router or network cable. 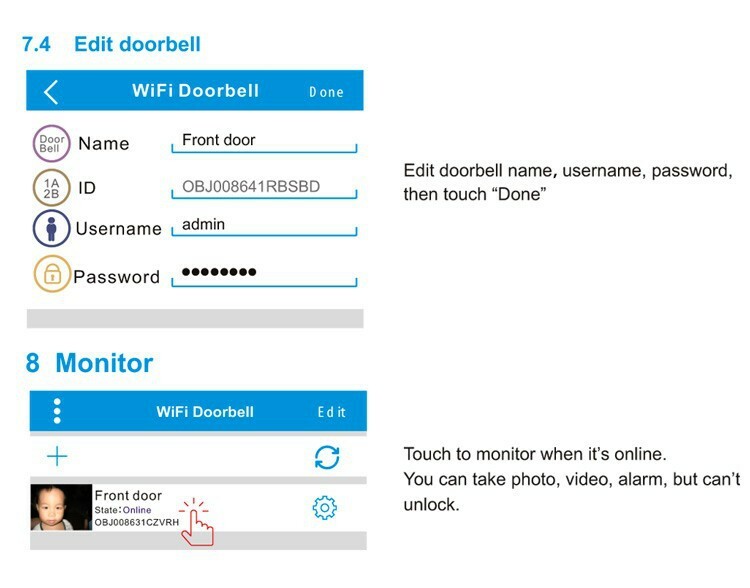 After the visitor rings, mobile devices could interact with doorbell via real time video and audio, unlock, take photos, take videos, and alarm. 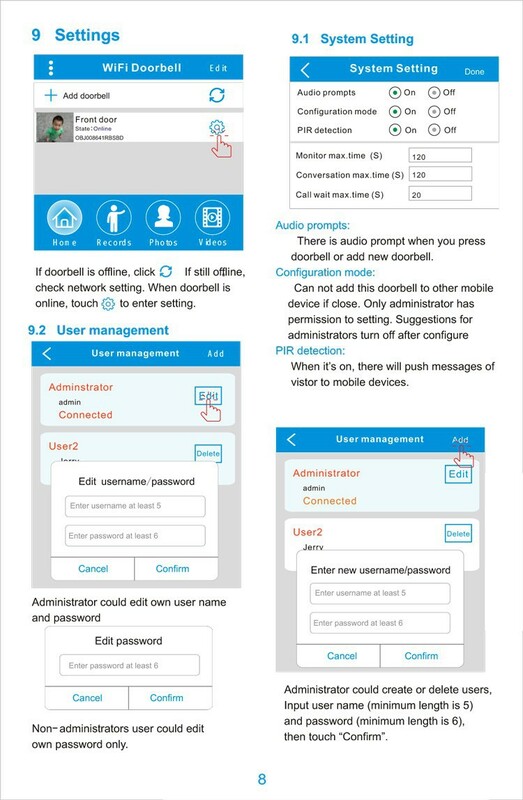 P2P cloud service could push messages of visitor calls to mobile device, PIR and tamper alarms. 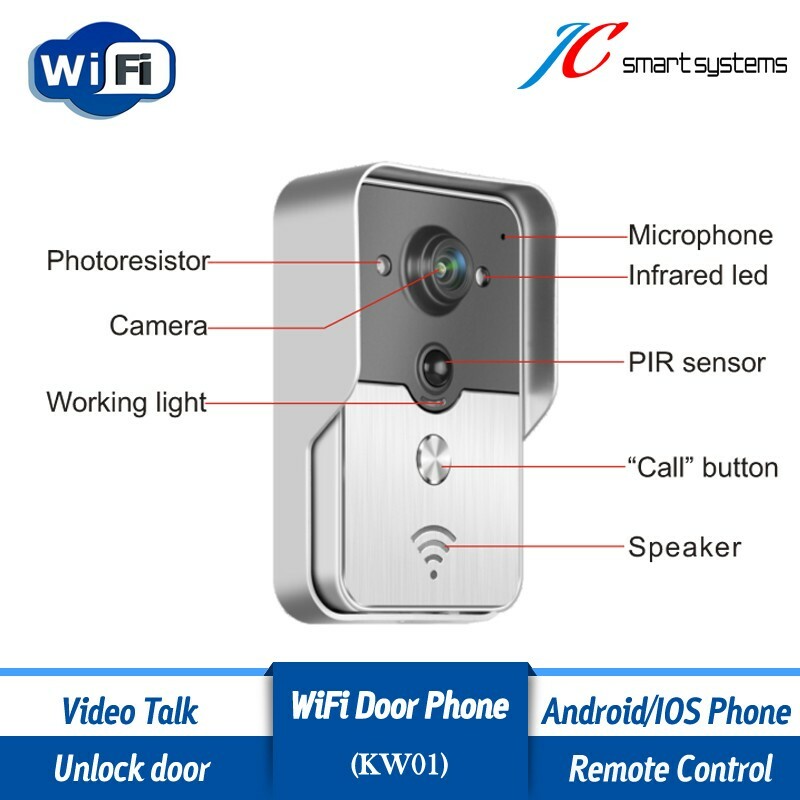 WiFi doorbell has capabilities of tamper alarm, PIR detection, night view. 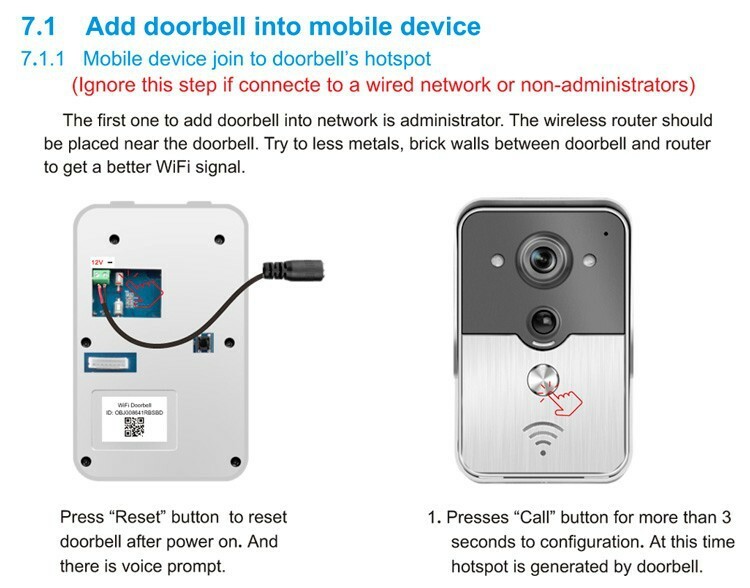 8 doorbells and 8 mobile devices can work at the same time. 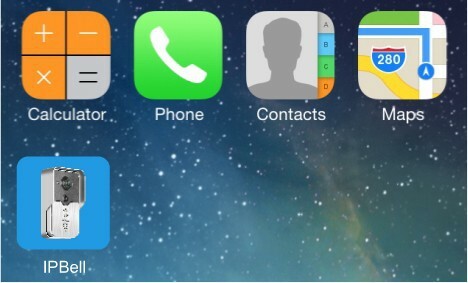 2, When you take out the cell phone, you can see directly who’s outside and choose to answer the it or not. 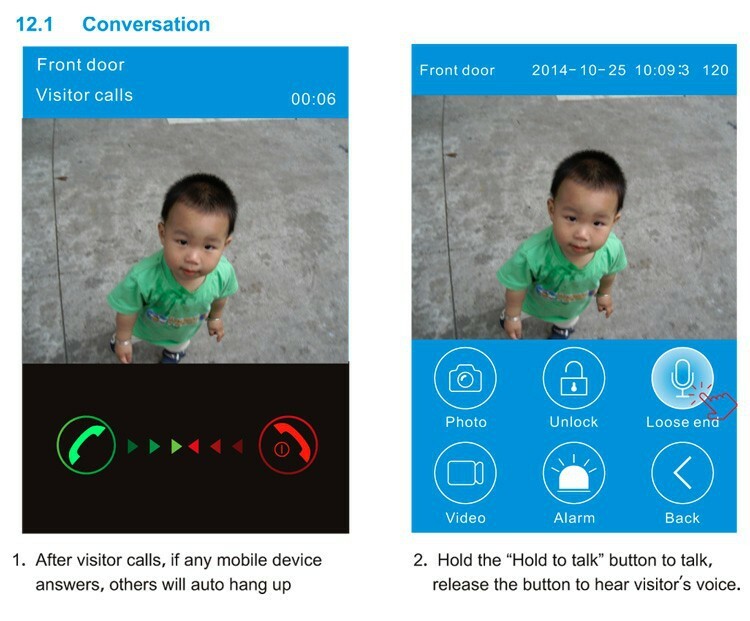 3, On App, you can open door, record video, snap photo and video chat with visitors. 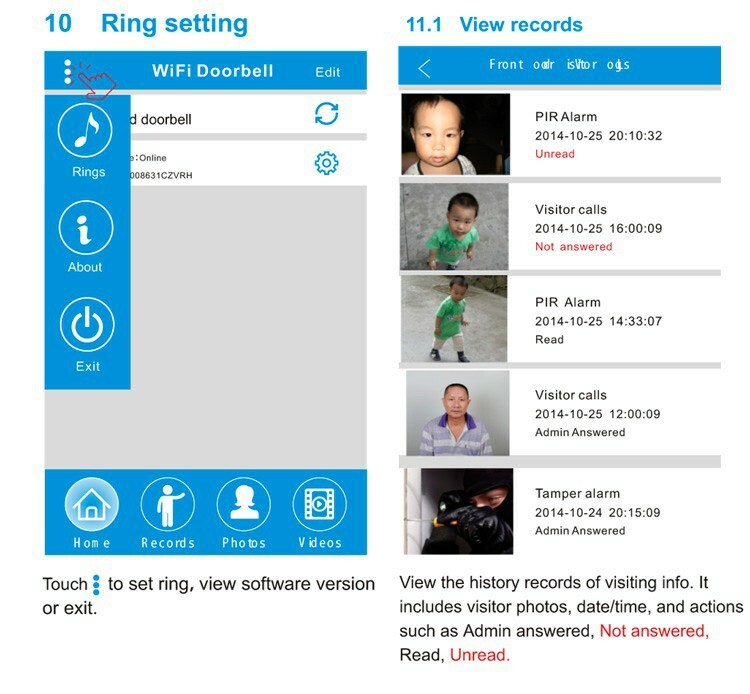 App can be run in Android and iOS devices. 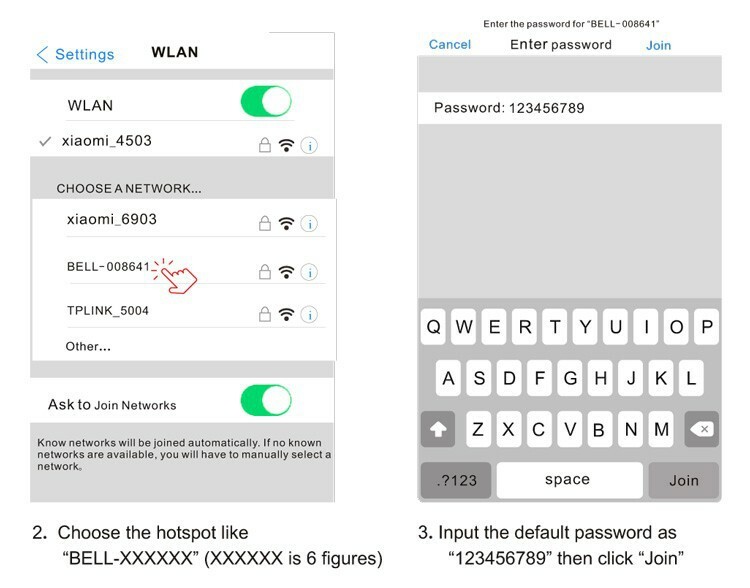 Android users can search “IPBell” in google player to install the APP. 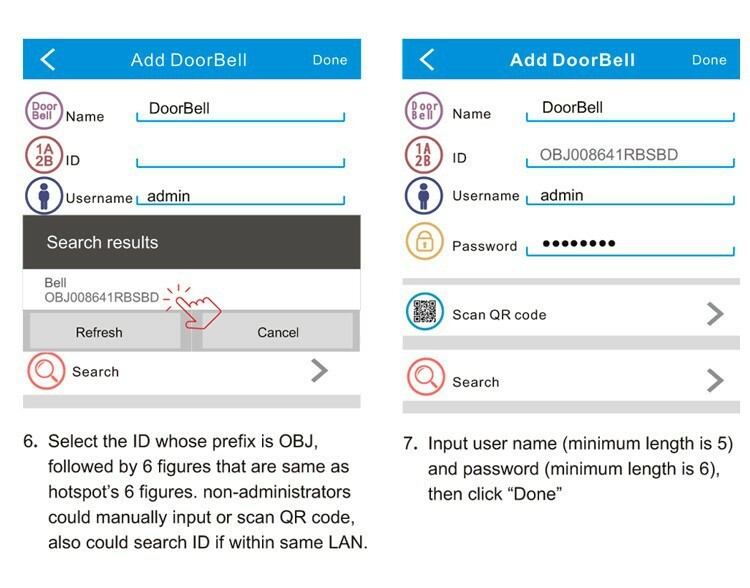 IOS users can search “IPBell” in App Store to install the APP. 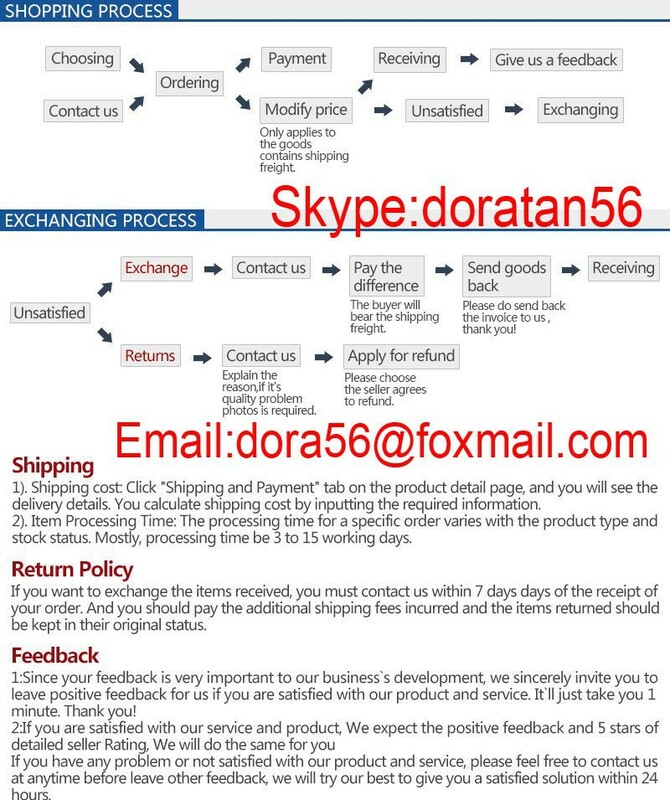 You can scan bar code on the package to install the APP also. 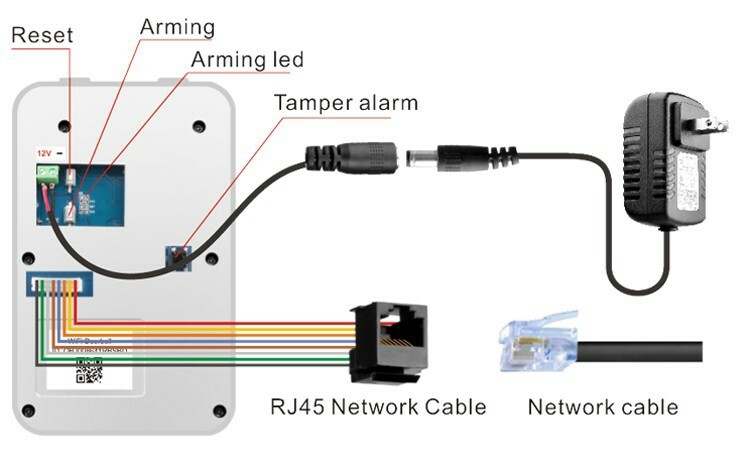 Doorbell in disarming state if arming led is on after will enter arming state and arming led is off power on, after press the arming button. will sound a alraming after press arming button under arming state. 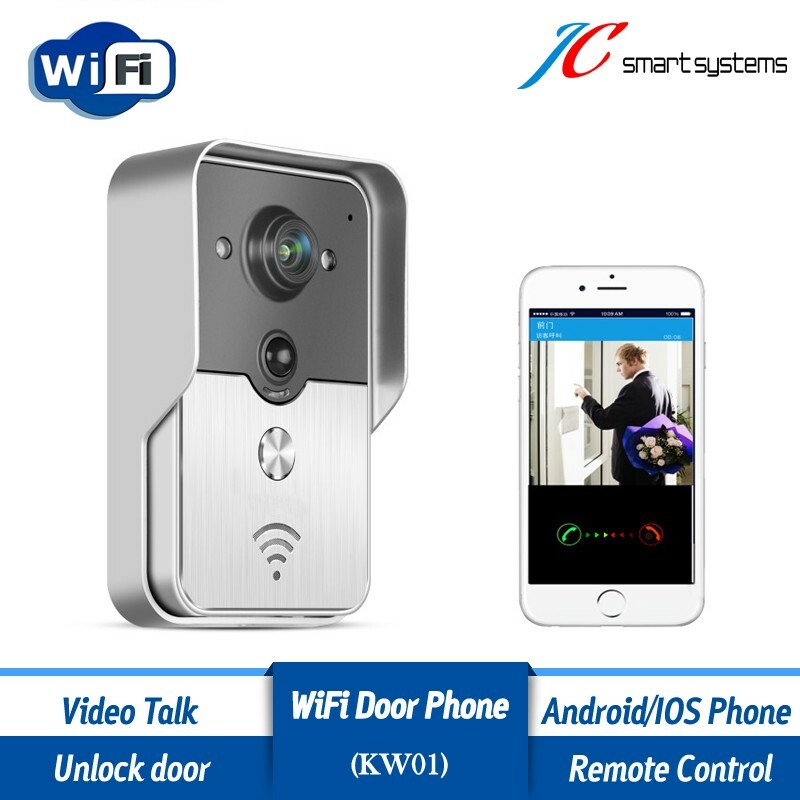 Unlock control and doorbell connected to the power adapter both. 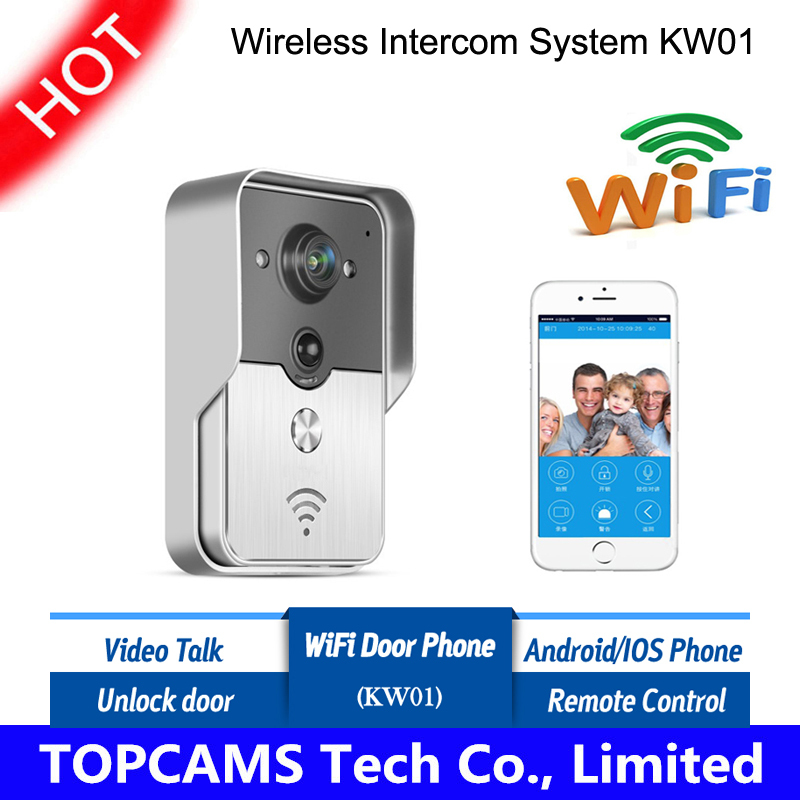 Firstly press Call button of doorbell, mobile device run the app answer and enter intercom state, press Pairthen click Unlock button of APP, Now pair light will continuously flash.Once again press the pair button of unlock control, pair light stops flashing. 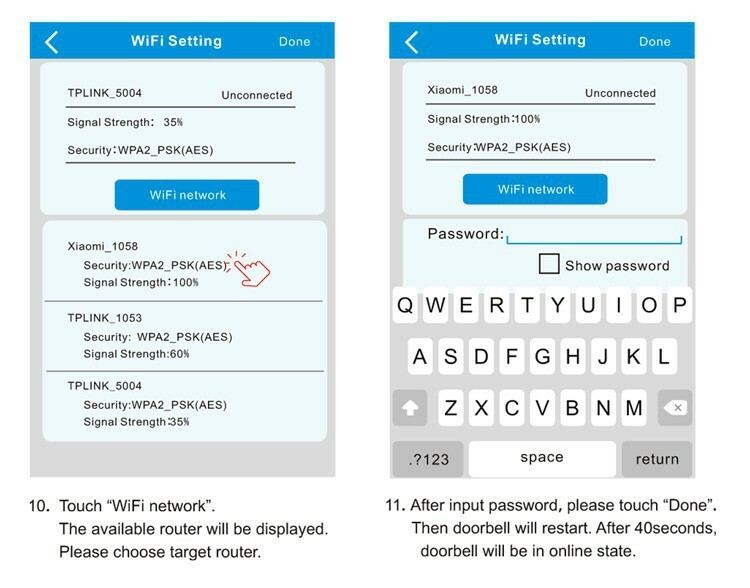 Finally click Unlock button of APP, the pair light will flash 3 seconds, it means that pairing is successful. 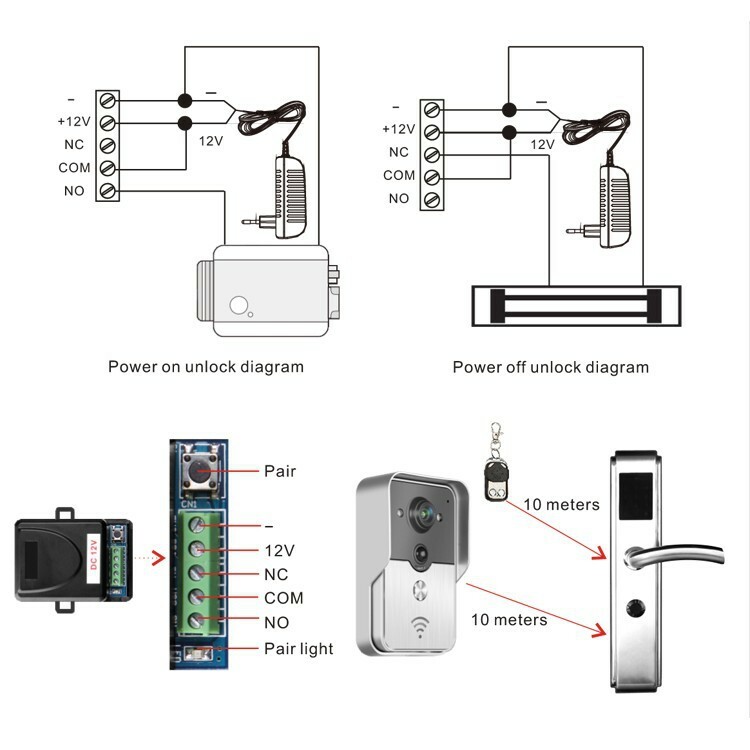 Unlock control is connected to power adapter. 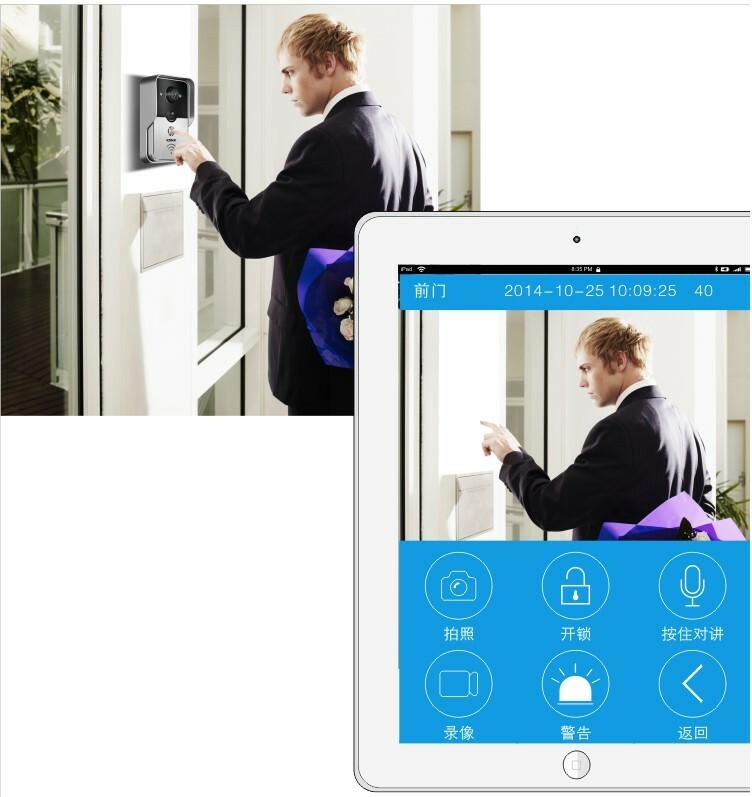 Firstly press the pair button of unlock control, pair light will flash once. 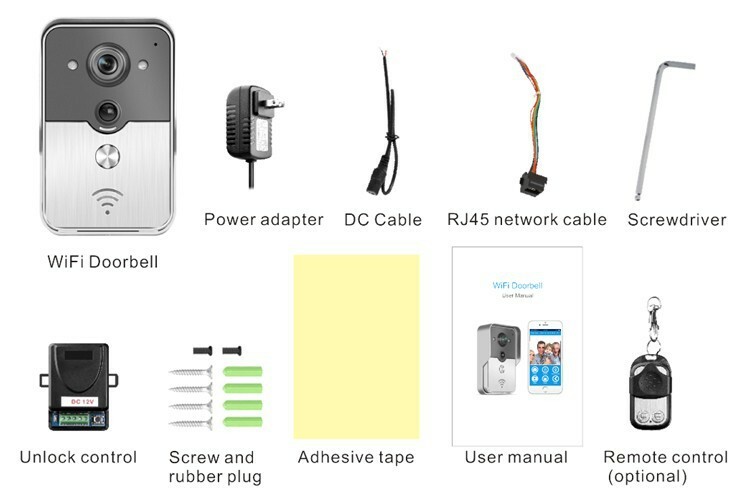 Press the button of remote control, pair light will continuously flash. 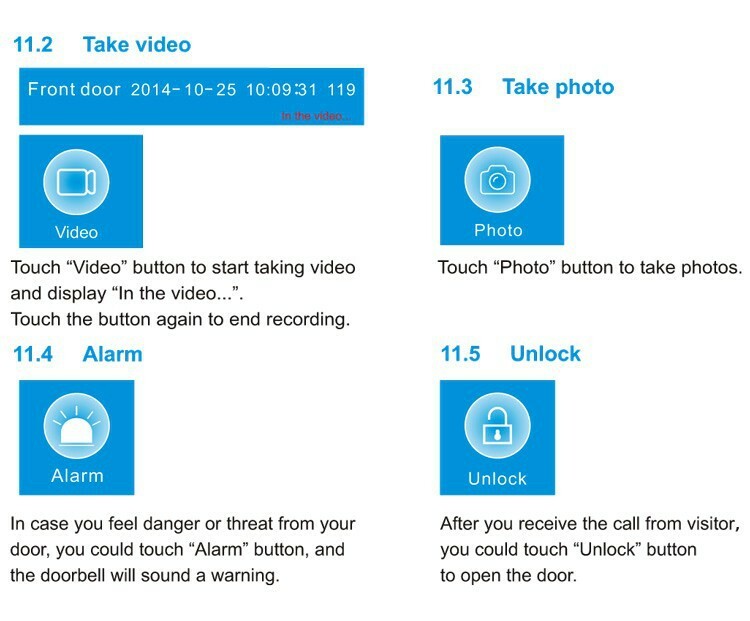 Once again press the pair button of unlock control, pair light will stop flashing. Finally press the button of remote control, the pair light will flash 3 seconds, it means that pairing is successful.